0.0.3 Are you ready to play a larger game? All of life is about intention – where are you going? The power of intention is the power to shift and transform virtually everything. As long as our focus is on our own life and we are merely asking: "What can I get out of life?" and not "What is the enormous gift I can put into it? 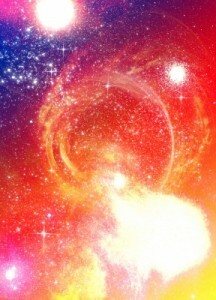 ", we haven’t yet set an intention that is aligned with the deepest nature of reality. 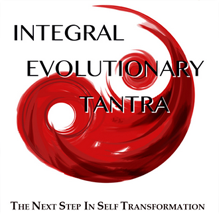 At the Center for Integral Wisdom, our intention is no less than to participate in the Evolution of Love. We are experiencing what that feels like and are waking up with our intentions aligned with that purpose coming from a profound realization about the nature of reality itself. In the world today we look around and see that we’ve made love small. We have exiled love to a particular transient emotion that takes place between particular human beings of a particular gender within a particular legal context. It’s a pitiful concept. In our CIW Think Tank, we have an understanding that love is an expression of a much deeper source. Actually love is the animating Eros, the intelligence of all reality. Love is infinite perfection at a particular moment in time which explodes into manifestation. Before the Big Bang, we could say there was quiet and bliss. However, in the deepest reading from the Eye of the Spirit, there is no-thing, the unmanifest, and then: Outrageous Love. Nothing gives birth to something. The universe has four physical forces: strong, weak, thermonuclear, electromagnetic – but what moves them (not in the physical sense, but from the inside of the inside)? Our deepest understanding is that it is Eros or Love itself – the fifth force, which Dante called the love that moves the sun and the stars. As we wake up and grow up, as we show up in our lives, we become the clearest and most powerful vessels. 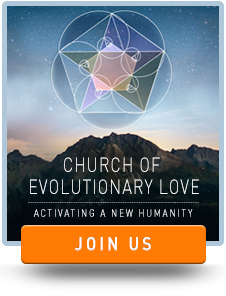 We are participating in the evolution of love, evolving our consciousness. That’s not a fanciful story, it’s the deepest take on reality that we have right now.